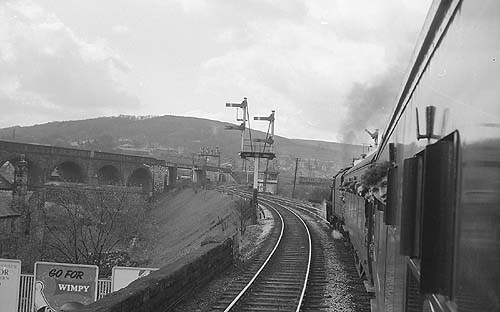 (1) 61004 was detached prior to entering Buxton to allow a brief visit to the shed. This required 48519 to take the train into Buxton Midland station. 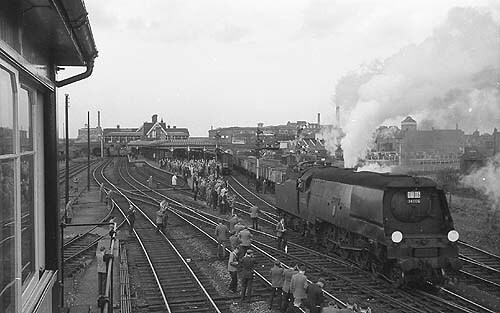 (2) 48519 on rear (originally uploaded as 61004 hauling but corrected by Bill Armstrong). 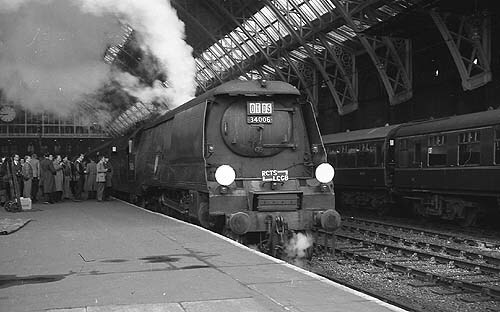 (3) 61004 on rear (originally uploaded as 61004 propelling but corrected by Bill Armstrong). (4) John Clifford comments: As tours go this was not one of the best although I did get some new & now closed track. 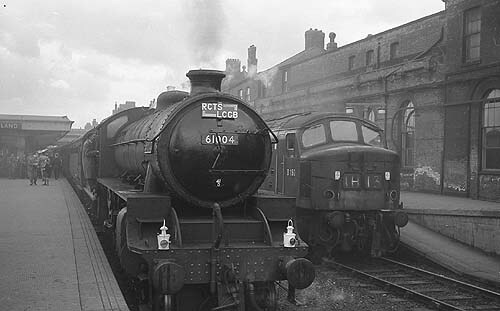 However, we left 4mins late, lost time all the way, leaving the Bedford stop 48mins late & reached Derby 80mins late so did not visit the works as had been arranged. The 'B1' bettered many times but the return to St. Pancras was also slow & we got there 39mins late. 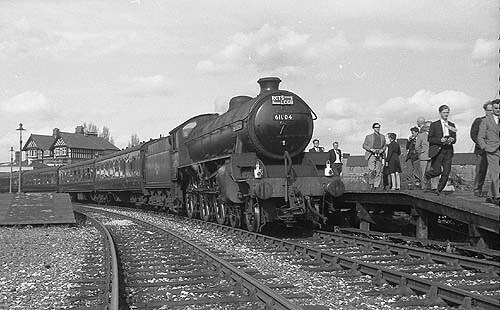 Suggestions at the time were that the problems arose from the crew being unfamiliar with the un-rebuilt 'West Country'. so the train may have run as 1T05...confirmation is required of this however. A brief use for 48519 at Buxton, from East Jn to the station - Wimpy anyone? 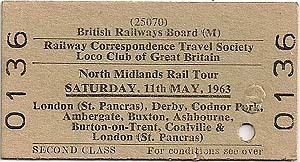 David Pearson's ticket. From The John Debens Ticket Collection.
? Bedford North 09w43 ~ 09w48 ? 189.00 Briggs Jn 16/02 ?